Entertain any kid with this flying disc. 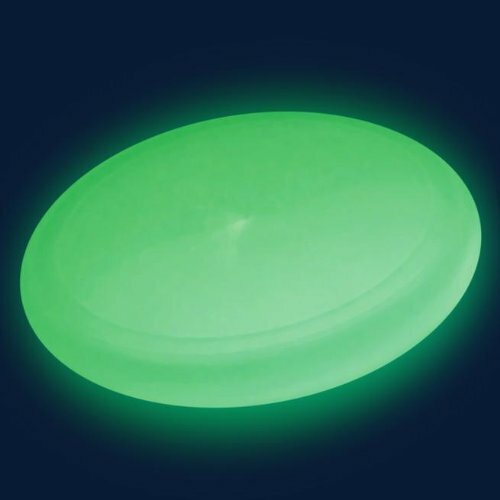 Each flying disc glows in the dark. Great toy for outdoor play. Made of plastic. Size 10" Diam.